A massive reproduction plastics set, at nearly 6 square feet of PETG. Bright colors and brand new. 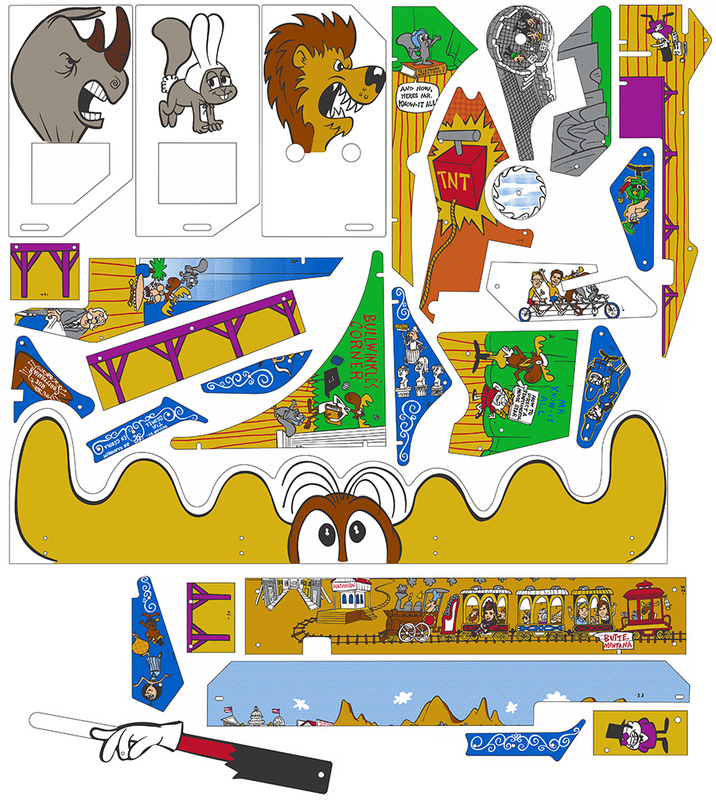 This extended set includes the large (often missing) Bullwinkle topper piece. Additional pieces include a bonus key fob, and all the backbox (behind the backglass) pieces.